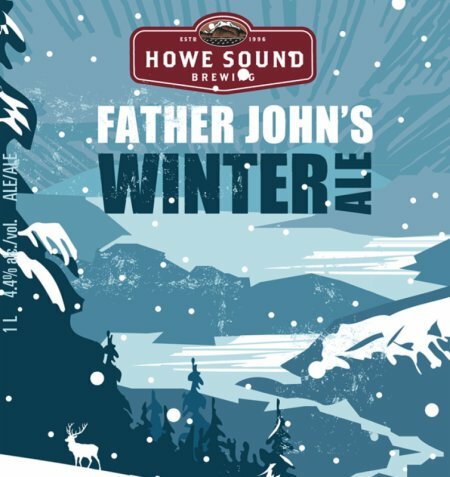 SQUAMISH, BC – Howe Sound Brewing has announced details of three seasonal releases for winter, including a new version of an old favourite, and two brand new brews. This amber ale was brewed specifically to complement Mexican Chiapas coffee roasted by Galileo Coffee Company, a local Squamish coffee roaster. The use of cold brewed coffee gives a hint of smooth and fresh coffee, with roasted, earthy, caramel and nutty flavours. A rich Baltic Porter with notes of raisin, plum, dark chocolate, and toffee. The addition of red grape must adds a complex aroma of sweet cherry and currant with a delicate finish. The combination of a very old traditional style of beer with the red grape creates a very elegant beer with complexity that continues to grow with every sip. 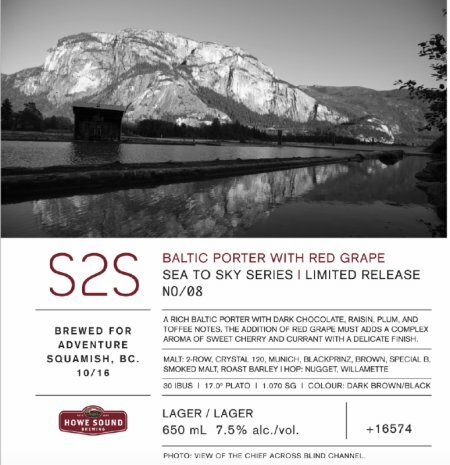 All three beers will be available at Howe Sound and select liquor stores in British Columbia while supplies last.